Tents Camping is dedicated in supplying you with the essential knowledge required to pick the right tent for you and your family. 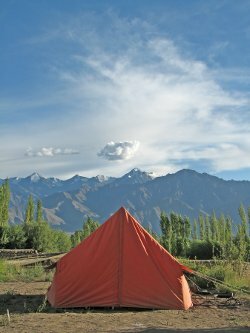 As the credit crunch takes a bigger bite into your income, it is no surprise that more and more people are turning to Tents Camping as a cheaper alternative method of going on holiday.Many years ago buying a tent was fairly straightforward; you either wanted a big family tent or a small tent. However, today things are a lot different; with hundreds of different types of tents it is little wonder that we need help in choosing what type of tent will suit our needs. To make the buying process easier, Tents Camping have broken down the various types of tent options and provided you with information of the top tent manufacturers, Vango Tents and Outwell Tents. The size of tent depends on how you intend to camp as big tents are heavy and small tents are light -obvious really. If you just want to throw things into the boot of your car or camping trailer then weight is not really an issue and comfort is, but if you intend to hike with the tent on your back then weight is a major issue. Lightweight tents tend to be more expensive as they are made of carbon fibre and other expensive material so if you are just going to be visiting campsites then save your money and go for the less specialised tents. Camping Tents – Is size important? At Tents Camping we believe size is important. Tents are usually described in terms of the number they can accommodate. However, tent manufacturers don’t allow much sleeping room and usually base the accommodation number on “shoulder to shoulder” sleeping which, as anyone will know who has done this, is quite tight! There is nothing worse than being crammed into a tent with little or no room to sleep let alone get change or eat. So how to you select the right size of tent? Ideally when you pick a tent always go for the tents which will accommodate one or two more people than you actually require. To help you decide map out the footprint of the tent in the back garden and then lie in the space with either your partner or a sleeping bag. Bear in mind also that there also must be room for your clothes, food and equipment. What on earth is hydrostatic head? Well hydrostatic head is an industry term used to describe how waterproof the material is. Hydrostatic head is the pressure created by a column of water and is measured in millimetres. Various fabrics are tested using a column of water and the height is recorded at which water penetrates. The resultant height is called the hydrostatic head. A material with a hydrostatic head of 1000mm and above is considered to be waterproof. However, if the wind starts to build up then the performance of the material needs to increase. The MOD consider that a material is waterproof at 800mm although to ensure that you are kept dry you should only look at tents with a rating of 1,500 mm or above for the British weather conditions.